The way country people kind of, being so isolated, they have to kind of improvise with things they have access to. I always thought that was a really admirable trait of country people, you know. I think that’s why a lot of music seems really boring and sterile to me now because a lot of it’s just, seems like most of its being made in LA or New York, or Seattle or whatever. And you have, you know, a guy who’s the engineer, and that’s his job, or a producer and his job is a lot of times to stand over the musicians and say – like standing over a painting and saying, you know, ‘Use green now!’ And one good thing about owning your own studio is that you’re not on the clock and you can experiment all you want, so this record was mostly done at home in Static King, alone, because I bought my own little baby studio. 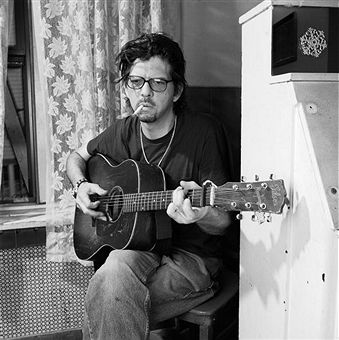 Mark Linkous in 1998 was a man convinced of the upsides of home recording. His first album, Vivadixiesubmarinetransmissionplot, had been partly recorded at his own Static King studio in Virginia, but Dennis Herring had been on board as a producer and much of the work on the record was done at Richmond’s Sound of Music and Seattle’s Bad Animals, owned by Ann and Nancy Wilson of Heart (and a proper A-list studio in which virtually every major 1990s alt. rock band had logged time). The above quote makes it clear that working in this way, with Herring at least, was not an entirely happy experience for Linkous. We can reasonably infer he didn’t like taking outside direction from a producer, and he comes right out and says he didn’t like working to an externally enforced schedule. 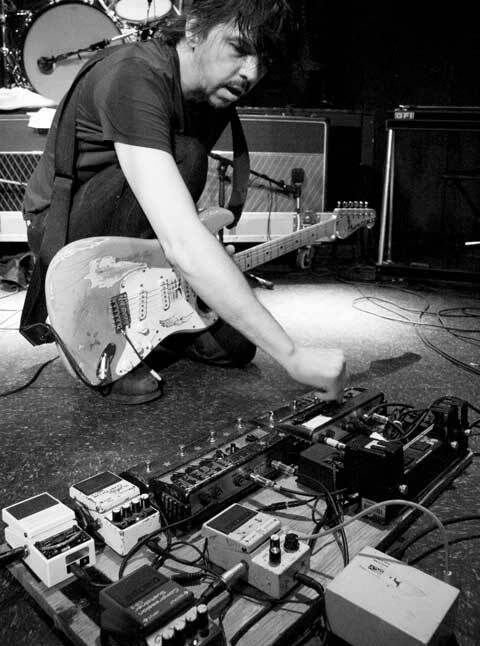 Maybe it’s going too far to suggest he was unhappy with the way his record had sounded, but nonetheless Good Morning Spider, Linkous’ second album as Sparklehorse, was entirely recorded at his own studio, which by now was a sixteen-track facility equipped with an arsenal of old, clapped-out and discarded equipment: organs, keyboards, samplers, drum machines, intercoms from a dentist’s office and a CB-radio microphone. Not lo-fi, in the hiss-ridden-Portastudio sense, but certainly not state of the art by the standards of the late nineties, and more than a little eccentric in equipment choices. This entry was posted in Gear, Music and tagged country-rock, Good Morning Spider, grunge, lo-fi, Mark Linkous, post-grunge, production, sound recording, Sound recording and reproduction, Sparklehorse, the lowest of fi, Vivadixiesubmarinetransmissionplot, weird Americana on August 20, 2013 by rossjpalmer. Over the last couple of months, a new Board of Fun fanzine has been in its early stages. This time, the hook is that participating musicians are covering songs by artists who are sadly no longer with us. We’ve had a few submissions so far from reliable BoF Singles Club old hands, but we could use a couple more, if anyone out there is interest in submitting (particularly London-based folks who’d like to attend/play at the launch night). Let me know through the contact form on the About page. There’ll surely be another post on this in the next few weeks. This entry was posted in General and tagged Board of Fun, fanzines, get involved, the sadly departed on August 18, 2013 by rossjpalmer. What did Bob Dylan do when we retreated to Woodstock after his motorcycle accident? Well, we know that he wrote and played with the Band, painted and edited Eat the Document, but what else might have been doing? I reckon he was listening to Tim Hardin. Hardin, a marine veteran who had come back from Vietnam a heroin addict (and dealer; he brought back enough to make himself a tidy sum of money), was signed to Columbia in 1964 but was later dropped and picked up by Verve (best known for their strong jazz roster) in 1965, who released his first four albums, 1, 2, 3 Live in Concert and 4 on their Verve Folkways imprint. On these four records nearly all his best work is contained, and the first record in particular struck Dylan hard enough for him to proclaim Hardin the greatest living songwriter in an interview around 1966 or ’67. It was an overstatement (anyone who wasn’t Dylan himself or Burt Bacharach or Lennon or McCartney had no business being cited as the greatest living songwriter in 1966), and until recent years Hardin has been reciprocally undervalued – one hears covers of If I Were a Carpenter and Reason to Believe relatively frequently, but Hardin’s own recordings never get played on the radio and he rarely seemed cited as an influence by contemporary writers. He should have been; he has much to teach a young writer. But now it seems that he is getting his due. Smoke Fairies, Okkervil River, Alela Diane and Mark Lanegan all contributed to a recent tribute album, and general interest in Hardin seems higher than at any point I can remember. It’s a little late, but it’s well deserved. From the covers I’ve heard, though, there’s one, almost intangible, element missing. Hardin wasn’t just a fine writer and singer. He was a great recording artist. He had faith in his songs and felt no need to arrange them elaborately. When one considers the starkness of his work in the context of its time (the psychedelic mid-sixties), it can only properly be considered as revolutionary. 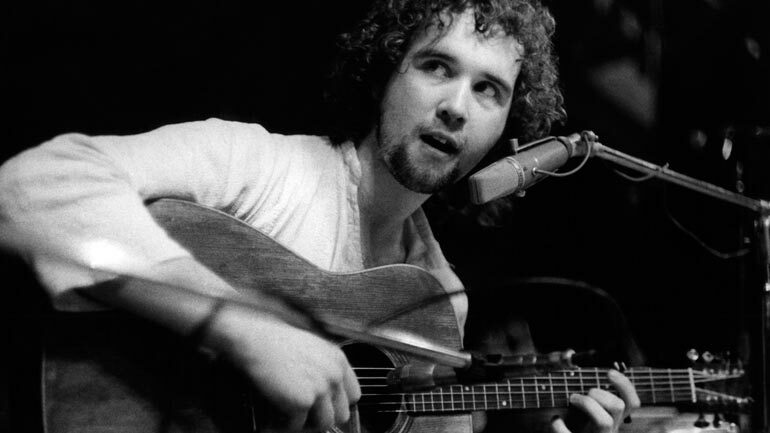 Hardin, after all, was not really a folkie but a pop songwriter, albeit one with the confidence to speak quietly when everyone else was shouting. And as stark as they are, his records would have been more sparsely arranged still if Hardin had had his way, without any orchestral overdubs. Only some recording artists can communicate atmosphere (and not being able to do it doesn’t necessarily invalidate an artist’s recorded work); Hardin was a master at it. When I listen to a good Tim Hardin performance (and there are many but I think of Speak Like a Child and It’ll Never Happen Again most particularly), the spatial and temporal distance between him there and then and me here and now are dissolved and I’m there in the room with him while he sings in his sleepy baritone and picks his spare, syncopated acoustic guitar. 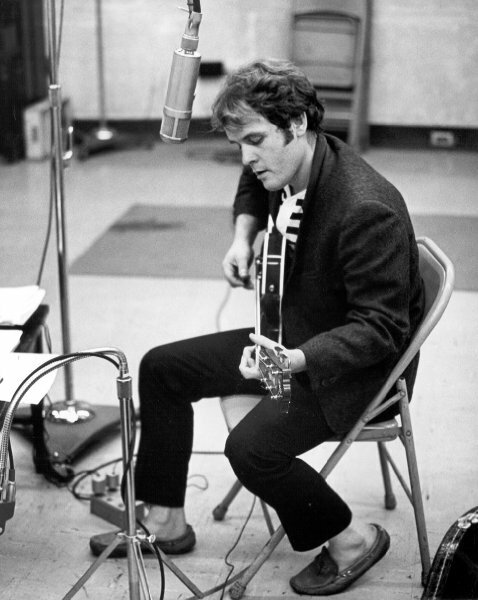 This entry was posted in Music and tagged blues, Bob Dylan, folk, If I Were a Carpenter, It'll Never Happen Again, jazz, Reason to Believe, songwriters, songwriting, Speak Like a Child, Tim Hardin on August 17, 2013 by rossjpalmer.